Most of us discovered Laguna, fell in love and moved here not knowing the work done by those before us. Battles were fought to protect the essence of our town. Now we must make decisions to keep us from being loved to death. Surrounding towns and the County of Orange approved thousands of houses without considering congestion and Laguna is their beach. We need seasoned leadership and creative solutions to keep the flood of cars off our streets. More lanes are not the answer. We must keep the cars out. We have welcomed visitors, knowing that they are drawn by our natural beauty and our seven-mile coastline. Meaningful solutions are needed. Free trolleys serving visitors and residents. A Quite Zone at Mozambique giving relief to their neighbors. Bar patrons don’t disturb the neighborhood. Traffic directors downtown keeping cars moving. Noise and Lighting Ordinances refined. My record is strong. I will continue to protect our vibrant and unique town. Your quality of life must come first. The Orange County Professional Firefighters Association (OCPFA) represents over 1,000 professional Firefighters serving nearly 1.8 million residents in 23 cities and numerous unincorporated communities throughout Orange County. Your OC Firefighters deliver world-class emergency response services throughout a nearly 1,000-square-mile jurisdiction while providing our citizens, visitors and business owners the highest level of professionalism and customer service. The Democratic Party of Orange County (DPOC) is the official Democratic Party for Orange County. 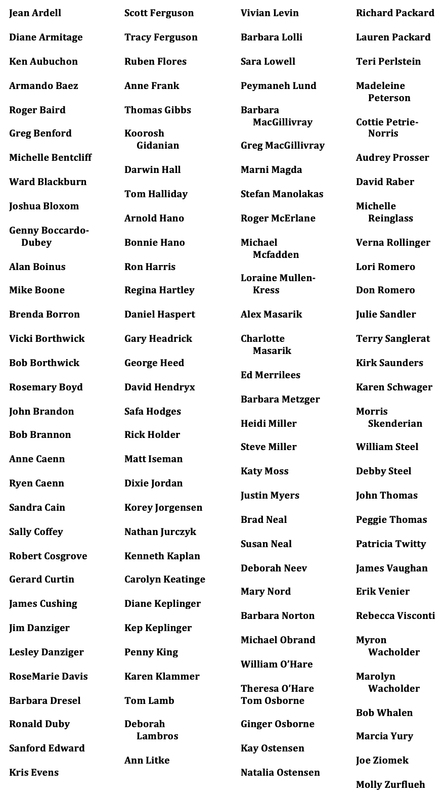 DPOC is a county central committee chartered by the California Democratic Party. Women for American Values (WAVE) started in the wake of the 2016 presidential election when a small group of women in South Orange County gathered to discuss the various ways American values and ethics were being undermined and challenged by the new administration. 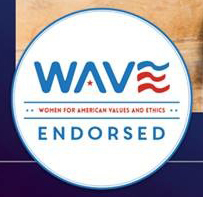 WAVE is a diverse group of nonpartisan women that engages, educates and empowers its members to advance progressive American values and ethics. The League of Conservation Voters (LCV) works to turn environmental values into national, state and local priorities. LCV, as part of the Conservation Voter Movement along our state LCV partners, advocates for sound environmental laws and policies, holds elected officials accountable for their votes and actions, and elects pro-environment candidates who will champion our priority issues. Women in Leadership (WIL) endorses Toni in her campaign for the Laguna Beach City Council. 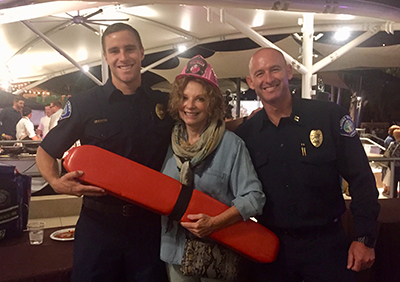 Toni is endorsed by the Laguna Beach Firefighters and Police associations! 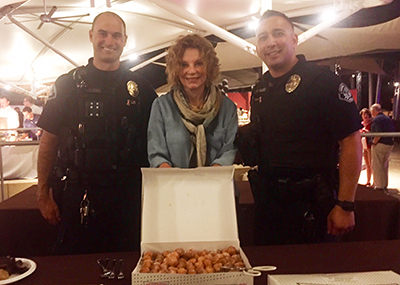 Photos from the Chamber of Commerce Taste of Laguna festivities. LAGUNA BEACH - By Erika Ritchie, Orange County Register — Lingerie, tampons, condoms and sleeping bags were among 346 pounds of trash collected Saturday, Sept. 16 at Aliso Beach Park. 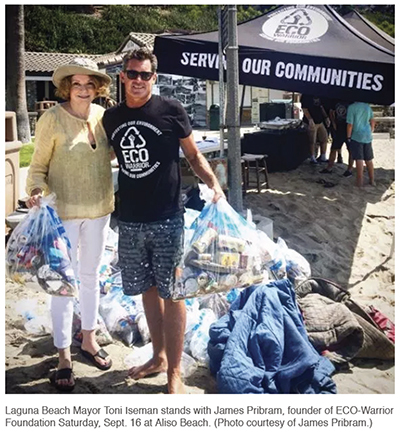 The event, organized by ECO-Warrior, drew 141 volunteers including Laguna Beach Mayor Toni Iseman and 23 other residents of Laguna Beach. “The highlight of the day was when Mayor Toni Iseman came out,” said organizer James Pribram. 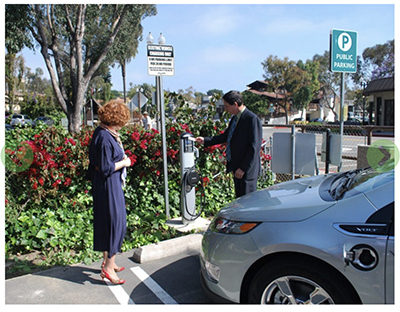 “She walks the walk and truly cares about the community and Laguna Beach. 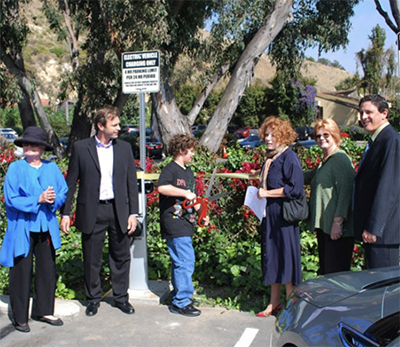 In the Northeast parking lot at Forest and Broadway, two dozen people watched Noah Rosen, 13, approached a ceremonial ribbon tied between two new electric vehicle charging stations. Mayor Toni Iseman said, "Here's to a healthy environment and progress."